This Pokemon can't retreat if it has any energy attached to it. Knock out the defending Pokemon. 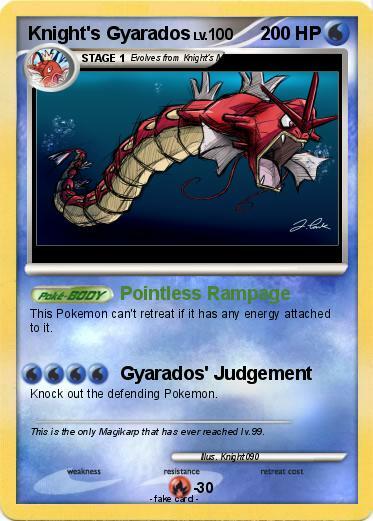 Comments : This is the only Magikarp that has ever reached lv.99.